EveryCoin is the key cryptocurrency of the Aaron Platform. The Aaron Platform is a new financial platform that combines stable coin(TabiPay) with fluid value coin(EveryCoin) to solve the problems of blockchain speed and high variability of cryptocurrency. We have redefined financial services and changed the paradigm. Financial services will be transformed from previous strictly graded, exclusively centralized systems to decentralized, comprehensive and scalable systems. More than 2 billion people worldwide cannot use the financial system. These people cannot create bank accounts to hold assets and are unable to use the bank to send and receive money. Aaron Platform provides free account creation and free money transfer through TabiPay service. 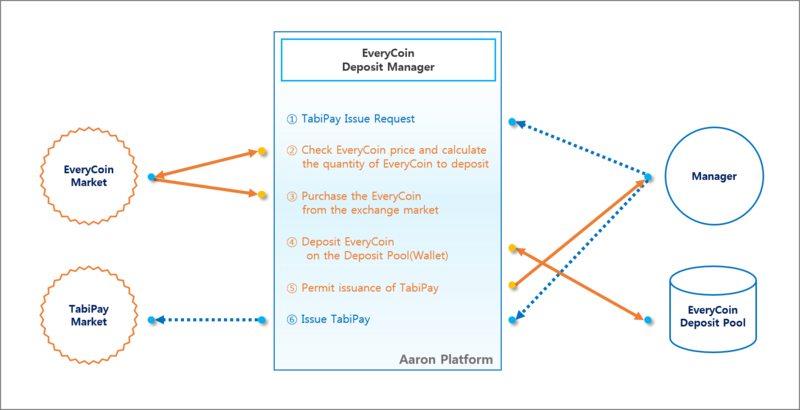 TabiPay is a stable coin banking system. - It is easy and straightforward to create a free account. - You can use TabiPay anywhere in the world with a global card which is provided by the partnership of TabiPay, global card companies, and banks. - In TabiPay Wallet, you can exchange TabiPay with EveryCoin, various cryptocurrencies and cash in real time. - You can withdraw TabiPay at any time. These features are not just a plan for the future. The TabiPay system has already been developed and is being used now. And now the independently used TabiPay system has been upgraded to a new platform to run as the part of the Aaron Platform. The new TabiPay system will work on a Linux server like the Aaron Platform, and a new interface will be built internally to support the multi-block chain of the Aaron platform. It means that the TabiPay system will increase its stability, speed, and future scalability. And it also means preparing for linking with EveryCoin. Aaron Platform has two security assurance measures to guarantee TabiPay. The First, Aaron platform always guarantees a deposit of EveryCoin that corresponds to the total issued amount of TabiPay. The Second, Aaron Platform will deposit all the amount of TabiPay sold in cash into the bank. With these two security measures, users can trust TabiPay. Everyone can safely purchase, use, send and exchange TabiPay. Users will continue to use TabiPay for remittance, exchange or asset retention. 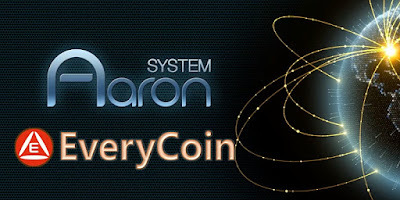 As the use of TabiPay increases, Aaron Platform purchases EveryCoin in the market for the deposit of EveryCoin. 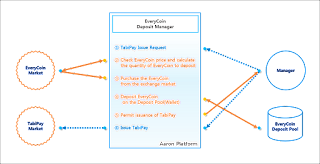 The EveryCoin deposit is performed automatically within the Aaron Platform without the administrator’s intervention. As a result, increasing TabiPay usage will reduce the amount of EveryCoin in the market, which increases the value of EveryCoin. The Aaron Platform will continue to buy and sell EveryCoin to balance the value of EveryCoin with the issuance of TabiPay. This mechanism will control the price volatility of EveryCoin and create a continuous upward curve.